Obamacare is Complicated, but It’s Coming: Get Ready! Little Rock I spent no small amount of time over the recent three-day weekend trying to figure out the Affordable Care Act on a number of different levels, as an organizer of course, but also as an employer, and even as a family guy with folks I care about making the best decisions for their health needs and pocketbooks. My short summary is simple: it’s complicated! And, no matter how complicated, it’s right on us, there’s a short window for study and decision, and it’s ready or not and down to the wire right now! And, before you buy, you have to shop, and from my studying that’s not going to be a walk in the park, especially because it’s all news and you’re pretty much scuffling to find some help figuring it all out, or you’re on your own and all alone. The shopping includes what company and whether or not you want an HMO, PPO, POS, or anything else in the alphabet soup. Then you have to decide whether you can afford the Bronze, Silver, Gold, or Platinum plans, which determine whether your premium is paying for 60%, 70%, 80%, or 90% of the costs being borne by your company. That’s the easy part, because that’s just figuring out what you want, so it’s like healthcare Christmas. The harder part is what you can afford and puzzling out whether there’s help from the government for you to foot the bill. Depending on you and your family’s income, you could qualify for various levels of tax credits ranging from 250% to 400% of the federal poverty level, and don’t pull my leg that you have any idea how much or how little that might be, but when you see the charts and it’s $99000 for a family of almost eight or so, trust me this is something you are going to want to memorize. There’s also something they call “cost sharing” which means you can get reduced payments on deductibles, copayments and the like, but once again, don’t’ pretend you know all about any of this either. Run a business of some kind? Good for you! You read the paper and saw the Republicans were crowing about a postponement of some kind for businesses with over 50 employees on the mandatory policies and fines, well don’t think that means that you don’t have to do something now, friends. There’s a special marketplace called SHOP and you need to jump on this now and figure out if it works for you. Ok, your head is hurting, huh, poor baby? Want to pull the shutters down and forget about it don’t you? Well, then there are fines if you don’t sign up ASAP. It’s a hand slap of $95 or 1% of your gross income if you are a scofflaw the first year in 2014, but in 2015 it’s almost $400 or 2% and almost $700 in 2016 and 2.5% of annual income for you then. Oh, that’s based on whichever is higher, player! Furthermore, it’s not some liberal-diberals at Health and Human Services that are going to sort that out for you, it’s the I-R-freaking-S, and they don’t mess! Do I have your attention yet? I bet you’re wishing you spent some of your weekend with me? We have to get right with this. I’ll be talking a lot more about this in coming weeks as I get my arms around the whole mess more tightly, but for now, people get ready! 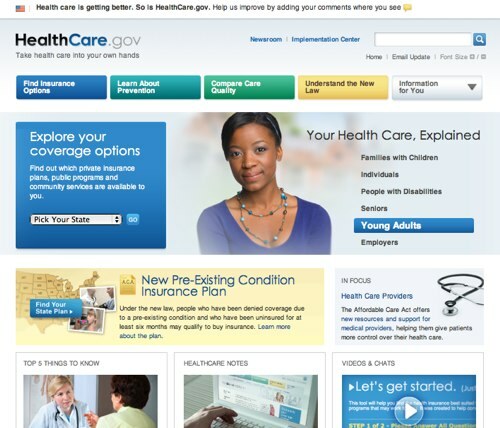 This entry was posted in Health Care and tagged Affordable Care Act, Obamacare. 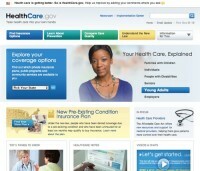 Health Insurance Marketplace by Wade. Bookmark the permalink.